Enrollment Open For Mural Techniques Course! 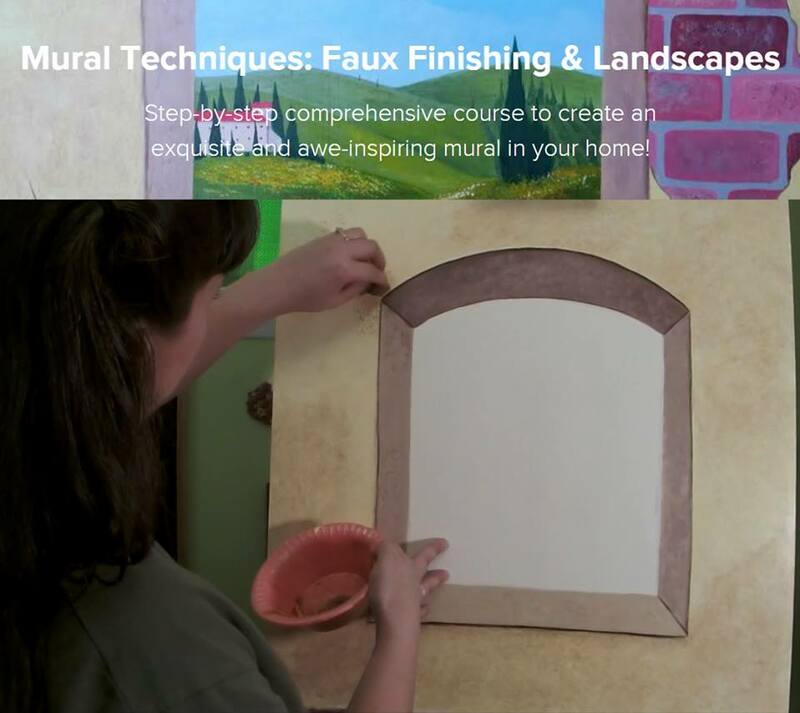 We’ve opened enrollment for our latest course “Mural Techniques: Faux Finishing Landscapes” today!!! This is a $99 course, but for a very short time we are offering special early enrollment pricing and a bonus course (this offer has expired). But first, let me tell you about this new course! This is a step-by-step comprehensive course to create an exquisite and awe-inspiring mural in your home! This in-depth course is designed to teach you everything you need to know in order to create a beautiful mural or a trompe l’oeil painting to display in your home. Trompe l’oeil is a French word that means to “deceive the eye” and this painting course is meant to do just that with this picturesque scene we are going to paint together. 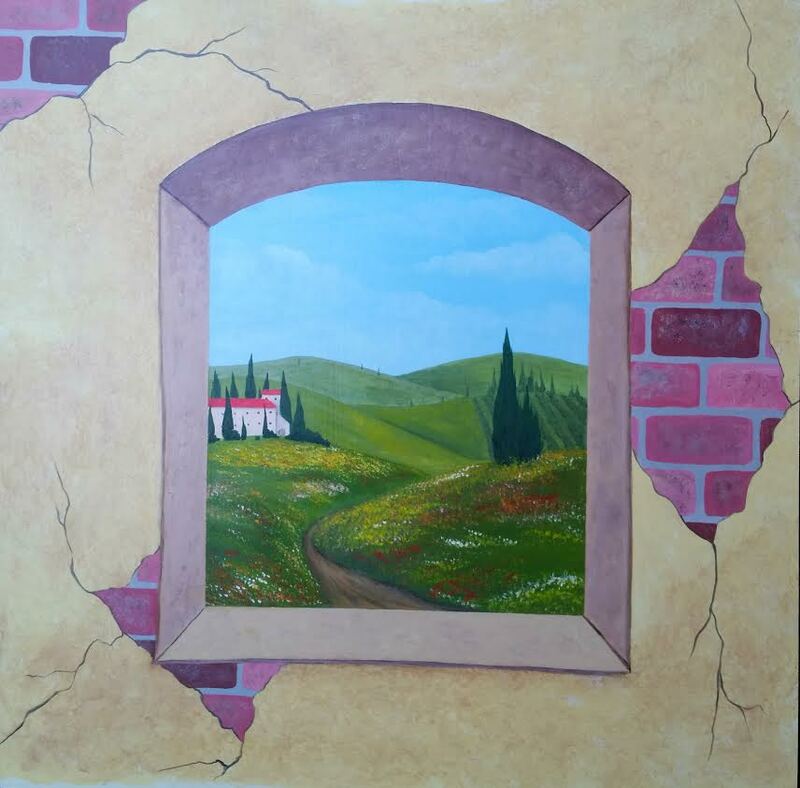 In this course you will learn about color mixing, design, layout, faux finishing and painting techniques to create a gorgeous Tuscan landscape scene framed by an old world style arched window. Tuscan murals and paintings are a very popular and beautiful addition to home interior design, and they create a beautiful focal point in restaurants and other public places. This course consists of over 2 hours of one-on-one video instruction where I show you each step in the process of creating this painting. I will walk you through the basics on how to get started, discuss the supplies in detail, and help you through the entire painting from start to finish. 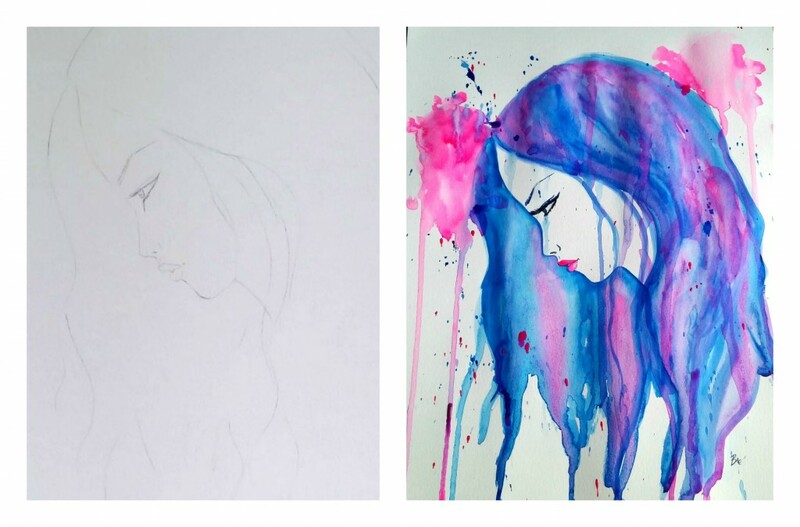 Anyone can successfully complete this painting course and have a work of art worth showing off as a result. The course starts on Monday, December 28th. What about giving the course as a gift? 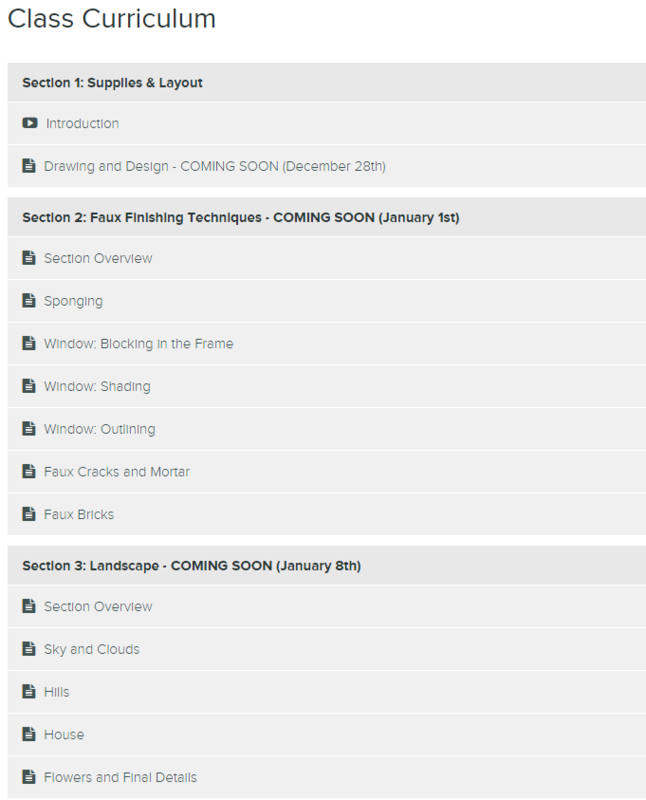 I’ve had some people ask about giving the course as a Christmas gift. This is such a great idea we’ve figured out how to make that happen too! The steps are a little bit different since the actual student needs to enroll, but if you go to this link right here you can pay for the enrollment and receive a little PDF card to print out and give the person receiving the gift. Shortly after the order is submitted, I will email you the unique and personalized one-time gift code for the course.